St Charles & Son Roofing, Inc. in Sylmar, California, is a second-generation roofing contractor whose goal is to install a high-quality roof, with service and support for your future roofing needs. Our phones are answered 24 hours a day! We feel you will be favorably impressed by our company, and the professional way we conduct our business. We have established a reputation for reliability, dependability, and ethical work. Our owner supervises all jobs. Scurrah's Roofing is a Roofing Contractor with over 32 year of quality experience, and now we are delivering Honest, Quality Work and Professional Service at a fair and reasonable price to the Inland Empire. 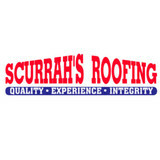 Scurrah's Roofing imanaged and founded by Jeff Scurrah specializes in energy efficient roofs. With our 32 years of experience and referrals, we continue to do first hand quality work with integrity. We offer a wide selection of fire safe roofs and work night and day to find just the right roof for you. Thousands of homeowners and businesses have relied on our workmanship and so can you! Bottom Dollr Roofing is a family owned and operated business. Keith Owens is owner/installer and has direct responsibilities for job estimates, job over-sight, crew training and supervision. We perform our own work and do not subcontract out to Roofing Companies. Our service area included the San Gabriel Valley, Inland Empire and Orange County. We are experienced replacement and repair roofers for residential, commercial and industrial. We guarantee our work. Please ask about our work and materials service warranty. From leaks to floods - if your roof is the problem we will fix it! The Bottom Dollar Roofing guarantee: We do the job right the first time. We start on time and end on time. We stay within budget. Call Bottom Dollar Roofing for a free estimate on your roof replacement or repair. Southern California / LA and San Fernando Valley Roofing Contractor Since 1999, we’ve been providing top quality roofing services to Southern California home and business owners who appreciate and expect excellent workmanship and unwavering integrity. A successful contractor relationship is all about having your expectations met. You expect to work with someone who is accountable, approachable, respectful and focused on your job. We spell out our promise up front in our GreatWay Customer Pledge. You won’t get excuses, just a great experience. That is our pledge to you. As a local, family owned and operated San Fernando Valley roofing company, we’ve worked hard to raise the bar for quality and professionalism in Southern California’s roofing industry. Our dedicated staff genuinely respects your time, your property and your neighborhood. You’ll notice the difference in everything we do, from our professional appearance and proactive communication to the way we clean-up the worksite daily and follow-up after the job. Life Time Rain Gutters was founded in 2004 by Joe Spinuzzi. Joe has an extensive background in the construction and gutters business, beginning when we started in the Sheet Metal Trade in 1986. When you work with Joe, you are guaranteed tor receive personal customer service and high quality, trustworthy work. Joe is always on time and makes sure to complete his job in a neat and timely fashion. Life Time Rain Gutters proudly offers Seamless Rain Gutters, Gutter Repair and Aluminum Gutters. Residential, Commercial, & Industrial Roofing Co. Your Local Services is located at 21777 Ventura Blvd #222, Woodland Hills CA 91364 and provides Home Care Service services. Contact them on (800) 803-8016 or by visiting them on their website <a rel="nofollow" target="_blank" href="http://localservicescontractor.com/">http://localservicescontractor.com/</a>. 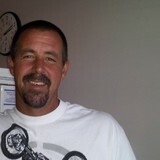 Ken Cooper has been in the construction industry for over 40 years. We can help you with any construction based issues on your home or commercial building. 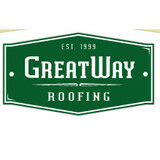 We are a family owned roofing contractor in the San Fernando Valley. We pride our self on quality work and workmanship. Exceptional roofing starts with experienced installers who know how to spot the best materials. Whether you want to give your home a whole new look or just need simple repairs, our team knows how to treat you right. Choose from a variety of roof types that include, wood shake, flat or tile roofs, composition shingles, and hot tar coverage. 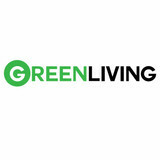 Some of our materials are known to be highly effective in reducing your energy costs. Rule No. 1 in the Roofing Business - Treat prospective customers as if they will soon be your next door neighbor. And yes, I like to look at each and every home I visit as a place that neighbors admire and families raise their children. 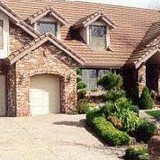 Your home is your palace and how you invest in it is critical to maintaining it’s curb appeal and value.